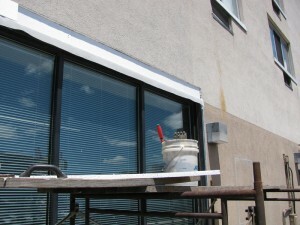 Commercial windows are a vital piece of the safety and appearance of one’s business. Unfortunately, they are often in hard to reach places and that makes the maintenance and repair of them difficult to maintain. The result is that Commercial widows, when damaged, rarely get the care that they need. Adriatic’s team of professionals will repair any, and every, aspect of your window that is in need of repair. Adriatic Restoration’s technicians are highly skilled at making repairs on lintels, commercial window repair and replacement, replacing window gaskets, window sills and fixing caulking issues.